James Raymond Stone was born on 17 September 1879 in Runnels County, Texas. Robert Madison (?) Stone and Mary Gatewood appeared in the US federal census of 1 June 1880 in Taylor County, Texas, adjacent to Runnels County.. Other members of the household included James Raymond Stone. Also in the household were son Bobie (age 11) and daughter M. S. (6). Mary Gatewood became a widow at his death. Mary Gatewood appeared in the US federal census of 1 June 1900 in Pueblo, Pueblo County, Colorado, at 228 South Union Avenue. Other members of the household included James Raymond Stone. Also in the household were children Maud S. (age 23), Helen (18), and Auston S. (15). James Raymond Stone appeared in the US federal census of 15 April 1910 in Graves, Spokane County, Texas, enumerated as a hired man in the household of farmer Clarence Mason. He married Nellie Mae Williams, daughter of Samuel Deveaux Williams and Johanna Stahle, on 20 June 1912. Robert Deveaux Williams was photographed about 1915 at his Fishtrap resort with sisters Belle and Nellie and brother Hiram, and their spouses. James Raymond Stone and Nellie Mae Williams appeared in the US federal census of 1 January 1920 in Tum Tum Precinct, Stevens County, Washington. Other members of the household included Gerald William Blunt and James Robert Stone. 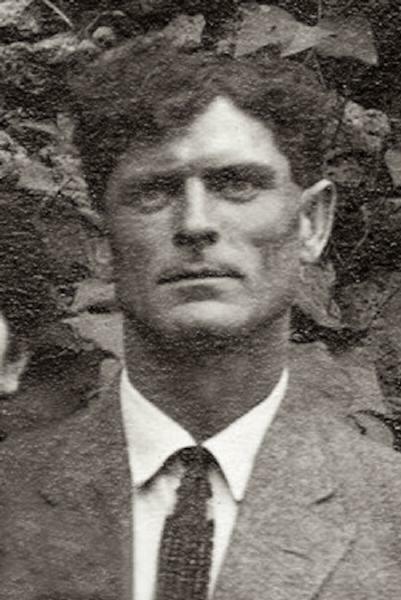 James Raymond Stone became a widower at the 8 August 1928 death of his wife Nellie Mae Williams. James Raymond Stone appeared in the US federal census of 1 April 1930 in Seattle, King County, Washington, at 2715 Second Avenue. Other members of the household included James Robert Stone and Howard Clarence Stone. Also in the household a housekeeper. He was a plumber, according to the 1930 census. James Raymond Stone registered for the draft in 1942 in King County, Washington, while living at 14114 Fourth Avenue in Seattle. Contact listed is Olive A. Stone at the same address. James Raymond Stone died on 28 April 1956 at age 76 in Ritzville, Adams County, Washington. He was interred at Ritzville Memorial Cemetery, Ritzville, Adams County, Washington. The following appeared on 17 May 1956 in the Ritzville Journal-Times: (Sprague) Funeral services were held May 2 at the Danekas and Duncan funeral home in Ritzville for James Raymond Stone. Stone was born in September, 1879, at Runels, Texas, and had lived in this community for nearly 50 years, farming in the Sprague and Tyler districts. He had made his home since 1952 with Mr. and Mrs. Hurley Griffith. Surviving are two sons, Robert and Howard Stone of Spokane, and one adopted son, Jerry Stone of Spokane; one nephew, Albert W. Koehler of San Francisco; and one niece, Mrs. Daisy McCully of Upland, Calif. The Rev. R. W. Reiger officated at the services with burial in the Ritzville Memorial cemetery.